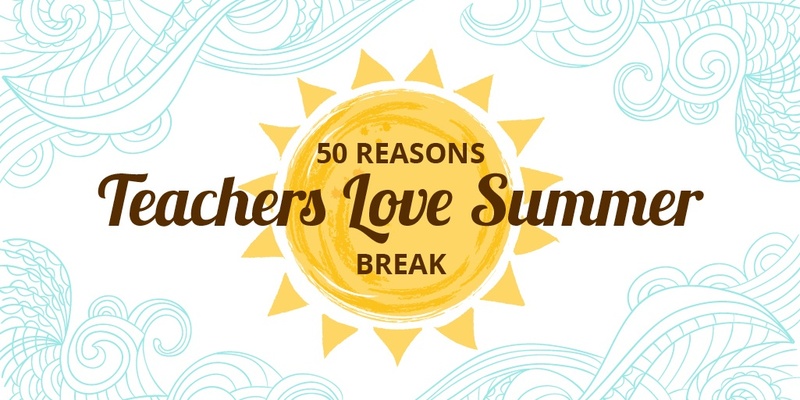 After a long year of classes, grading, and helping students grow, teachers truly earn their summer break—after all, it’s the perfect time to relax, unwind, and refresh before the start of a new school year. So, just how much do educators love this time off? And how do they spend it? The chance to take a trip—whether you prefer staying close to home or venturing abroad, summer break is the perfect opportunity to travel. Soak up the sun at the beach or pool. Connect with other educators on MimioConnect, our interactive teaching community. No waking up early—take advantage of being able to sleep in! Check out local summer festivals, fairs, and other celebrations. Get stuck into gardening! Whether you grow flowers or veggies in your own backyard or a community plot, this is a great way to get in touch with nature and spend time outdoors. Read some new books and reread old favorites—be sure to check out our summer reading picks. Pick up a new hobby and spend the summer mastering your skill. Catch up on personal appointments you don’t have time for during the school year—doctor, dentist, haircut, etc. Plan and set goals for the next year to make it easier when September rolls around. Enjoy the quiet time away from the hustle and bustle of school hallways and classrooms. Take a nap whenever you want. Remember to use sunscreen if you’re napping outside! Catch up on training and professional development—try our MimioTraining™ Quick Learn series! Take advantage of the nice weather and BBQ as much as possible! Make a to-do list of things you want to get done during your time off, but give yourself at least a week to unwind before diving in. Redecorate a room in your home, or simply de-clutter a spot that needs attention. A small change like this can feel like a huge accomplishment! Spend as much time enjoying the outdoors as possible. If it’s rainy or too hot out, catch up on your favorite TV shows or go to the movies in the middle of the day when it’s less crowded. Get active—hit the gym, go for a run, or do yoga. Summer is the perfect time to focus on your wellbeing! Spend more time with your friends, family, and pets. Find and subscribe to new blogs, or catch up on past posts you may have missed. Enjoy an ice-cold beer, summery cocktail, or glass of wine without worrying about having to get up early the next day. Get a head start on your back to school shopping—be sure to watch out for sales to take advantage of great deals. Pamper yourself with a spa day, manicure, massage, or anything else that makes you happy. Catch up on much-needed sleep. And, more importantly, don’t set an alarm clock unless you really have to! Look for fellow educators to follow on social media. Spend some time volunteering—look for opportunities in your community, or even abroad. Now that you’re done teaching for the summer, take a class and enjoy being the student instead. Grab lunch with friends who don’t get the summer off. Tackle the chores and DIY projects around your home that you didn’t have time for during the school year. Learn about the latest education trends, from advances in educational technology to new teaching methods. See a play, go to a concert, or just go out during the week—then sleep in the next day! Start a journal, blog, or other writing project. Listen to audiobooks or podcasts while you’re driving, walking, or lounging at home. Give yourself a summer project—having something to plan, focus on, and complete can help give a greater sense of purpose to your break. And it can be something fun! Attend an educational conference, seminar, or workshop. Go swimming as often as possible! Scout out locations for future field trips. Revamp old lessons to make them more fun—both for you and your students. Run errands during the middle of the day while most people are at work. Try out some new recipes and throw a dinner party using your favorites. Go to a baseball game—it is America’s pastime, after all! Find new ways to get involved at your school—leading a club, tutoring, coaching, etc. Look for something you actually enjoy doing! Reflect on your ups and downs from the previous school year and use that experience to make the next year even better. What do you plan on doing during your summer break? Let us know in the comments below!